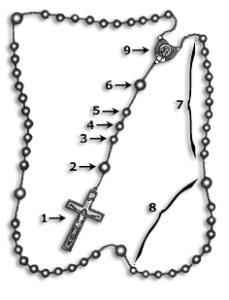 The Chaplet of Mercy is recited using ordinary beads of five decades. and the ocean of mercy opened up for the whole world. 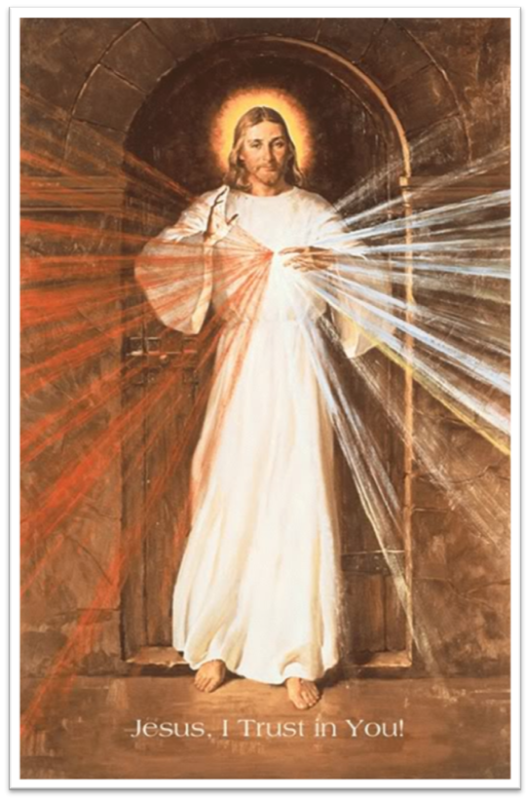 Eternal Father, I offer you the Body and Blood, Soul and Divinity of your dearly beloved Son, our Lord Jesus Christ in atonement of our sins and of the whole world. Holy God, Holy Mighty One, Holy Immortal One, have mercy us And on the whole world. 6. Eternal Father . . .
7. For the sake . . .
8. For the large bead say Eternal Father and for the small beads say For the sake . . .
and say "Jesus, I Trust in You"
Then say the closing prayer. I found your blog while browsing and I find it very interesting. I also do blog which can be found at http://ed-allaboutcomputer.blogspot.com/. I hope you will drop by.